This page contains links to information and resources that will allow you, the student, to take charge of planning your education. Please click on one of the links to access each content area. Your CAPP report gives you an overview of the Curriculum and Program Planning report that every student on campus has. It also has instructions on how to access your CAPP report on-line. The "Self-Advisor" has specific details about your major, including how to interpret your CAPP sheet and how to select courses that fulfill your major requirements and electives. The "FAQs" has the answers to some questions frequently asked by Biology majors. This page changes as students ask questions. 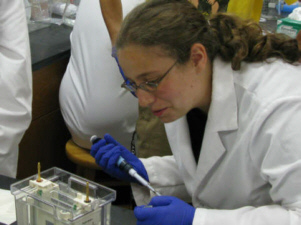 The "Specific information" section outlines some details about Biology majors who are in SJLA and/or Honors, as well as some information on the Biology minor and on other minors that Biology majors typically take. The "Scheduled course offerings" outlines the planned Biology major course offerings for the upcoming two years. This is by no means set in stone, and is subject to change. 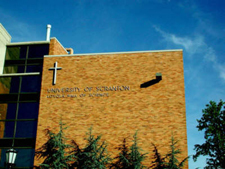 This includes information on which courses will be taught in each semester, which faculty will teach these courses, and which faculty plan to be on sabbaticals. This will help you create a long-term course plan. The "Course Search via UofS" links to the University course search database for scheduled courses for the current semester and for one semester in advance.